ABB has enhanced its ranges of servomotor drives for the Ethernet-based motion control systems market with variants that it claims can substantially increase the speed of machinery and automation systems while also reducing bill-of-materials costs. By redesigning the drives' power stage, the latest iteration of ABB's MicroFlex e100 and e150 servo motor drives can now deliver peak current levels that are three times the continuous rated current, and sustain that peak output for up to three seconds. This provides the torque to substantially increase the speed of moves and machine cycle times. In some cases, ABB expects that the generous three-second overcurrent capability will allow motion system builders to use a smaller size of drive - reducing system building costs dramatically, and potentially the footprint of systems as well. The new design increases the drives' level of overcurrent capability from 200% to 300%. This can be particularly relevant for system builders employing new generations of high performance servo motors with neodymium magnets, as these tend to offer a peak current capability that is at least three times the continuous rated current level. The three-second overcurrent capability of the drives may then be exploited to increase the acceleration of movements. As many common types of automation and machinery have a lot of repetitive movements coupled with dwell periods, this can have a dramatic impact on overall cycle time and throughput. These types of operational modes can be found in many applications such as feeding materials, parts handling, assembly, filling, packaging, labelling, sampling and robotics. 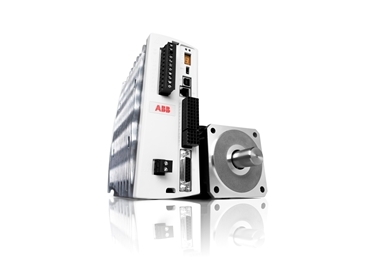 "This torque enhancement greatly increases the application potential of feature-rich servo motor drives that are already noted for their ability to satisfy automation applications without requiring additional hardware or options," said David Greensmith of ABB. "The multi-protocol Ethernet capability and local intelligence mean that the applications potential is truly versatile. The new higher torque mode now provides an excellent match for the capability of the latest generations of high performance permanent magnet servo motors."